I have to say, appearing on “Undercover Boss” was not only a great business exercise, it led to a number of great stories on the topic. 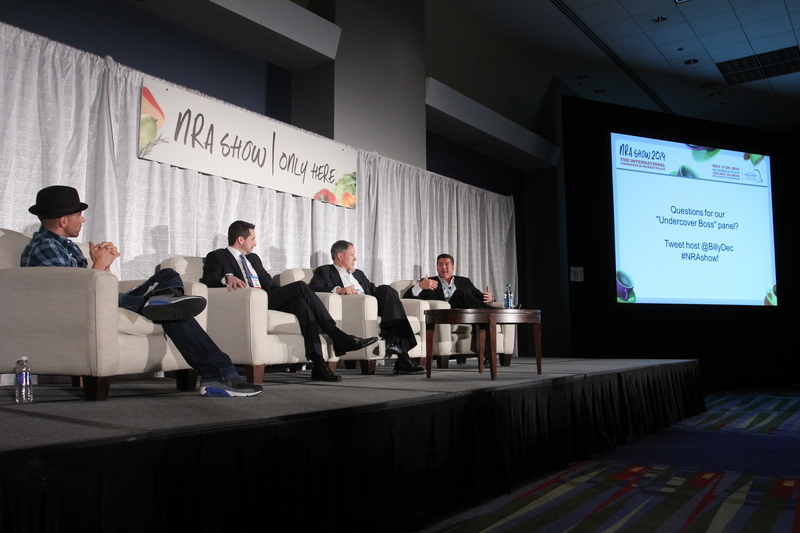 I recently had the opportunity to sit on a 2014 National Restaurant Association Show panel which included Amit Kleinberger of Menchie’s and Anthony Wedo of Ovation Brands. We were present to discuss each of our appearances on the television show “Undercover Boss” and how it allowed each of us to observe our brand’s culture up close. The panel brought forward some interesting ideas and discussion about how important brand culture is to its overall success, while at the same time, how difficult it is to discern that culture unless you’re down in the trenches with the employees. Fortunately, our mutual appearances on the show allowed us to do exactly that. Please read the entire article over at Nation’s Restaurant News, but I’ll highlight some of my statements from the panel below. Since his episode aired, Wiederhorn has expanded Fatburger’s program for soliciting opinions and suggestions from all employees at the restaurant level, and that feedback is quickly shared across the enterprise with the marketing, training and operations teams at headquarters. Thanks again to Mark Brandau, who covered our panel brilliantly. I know some of you may have missed my episode, so in case you have, I’ve posted it here. This video is S4/Ep12 of “Undercover Boss,” in which I went undercover in one of Fatburger’s franchise restaurants. Wondering how I’d do flipping burgers? Will my cover get blown? Watch and find out!